A dozen pharmaceutical companies have given doctors and other healthcare providers more than $760 million over the past two years - and those companies' sales comprise 40 percent of the U.S. market. The numbers come from the non-profit journalism organization Pro Publica, which assembled and continues to update a database on the payments. The payments, says Pro Publica, are for consulting, speaking, research and expenses on the part of the providers. Drug companies have traditionally been very tight-lipped about those payments, Pro Publica notes, but, "Over the past two years, companies have begun posting this information on their websites, some as the result of legal settlements with the federal government." What's more, Pro Publica points out, "Federal law requires that all companies publicly report this data beginning in 2013. That information will be posted on a government website." With bucks that big flying around, is the quality of care offered by providers accepting them compromised? "Absolutely," said Dr. John Santa, head of the Consumer Reports Health Ratings Center. "Money works," Santa told "Early Show on Saturday Morning" co-anchor Russ Mitchell. "Doctors are human. Doctors who take money from drug companies are more likely to give you an expensive drug or more likely to give you a drug you may not need." 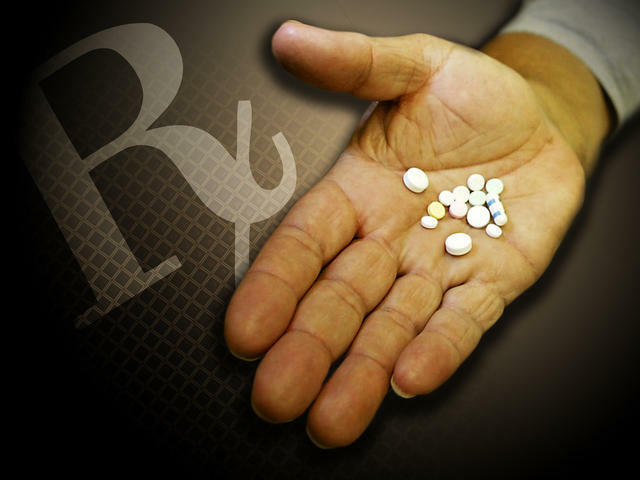 A recent Consumer Reports survey had 72 percent of respondents saying they believe pharmaceutical companies have too much influence on the drugs that doctors prescribe; 85 percent saying they were concerned about drug companies rewarding doctors who write a lot of prescriptions for their drugs; and 76 percent saying they were concerned about doctors providing testimonials or serving as a spokesperson for a drug. Santa says he'd be reluctant to advise someone to go to a doctor who has that sort of relationship: "The issue is, who are you working for? Me, as the patient? Or the drug company you're taking money from?" Do the payments result in doctors not giving patients the least expensive drugs in some cases? "Absolutely," Santa replied. "We know from our studies and others that there are still many opportunities for doctors to prescribe generic drugs and they're not doing it, and one of the reasons is these financial relationships." Santa pointed to three signs that could tip off patients that their doctor is getting drug company money. First off - seeing drug company salespeople in a doctor's office. "The last time I was in a medical office," Santa says, "there were three drug representatives in the waiting room. I haven't been back." Another sign? Free drug samples. "People think a free sample is a good thing," Santa observes. "Well, the expensive prescription that follows it, if it works, is not a good thing. It can be, again, a much more expensive drug than you may need." Also: Marketing materials in the physician's office. "Doctors who have relationships with drug companies will often have promotional materials, will have information that they give patients that come from the drug company. You should be wary of that," Santa cautioned. And what if you spot any of those signs? "First of all," Santa suggested, "you shouldn't hesitate to ask, 'Do you have a relationship with a drug company? Is it your policy and your practice to take money from drug companies?' More and more, I think, it's good for consumers to ask those kinds of questions. "What you should especially ask, though, is, 'What are my other options?'"